1/2" self closing deck basin taps. Pre-set automatic shut off after approximately 8-10 seconds. Minimum working water pressure is 0.2 bar. Recommended working water pressure is 0.3 bar. 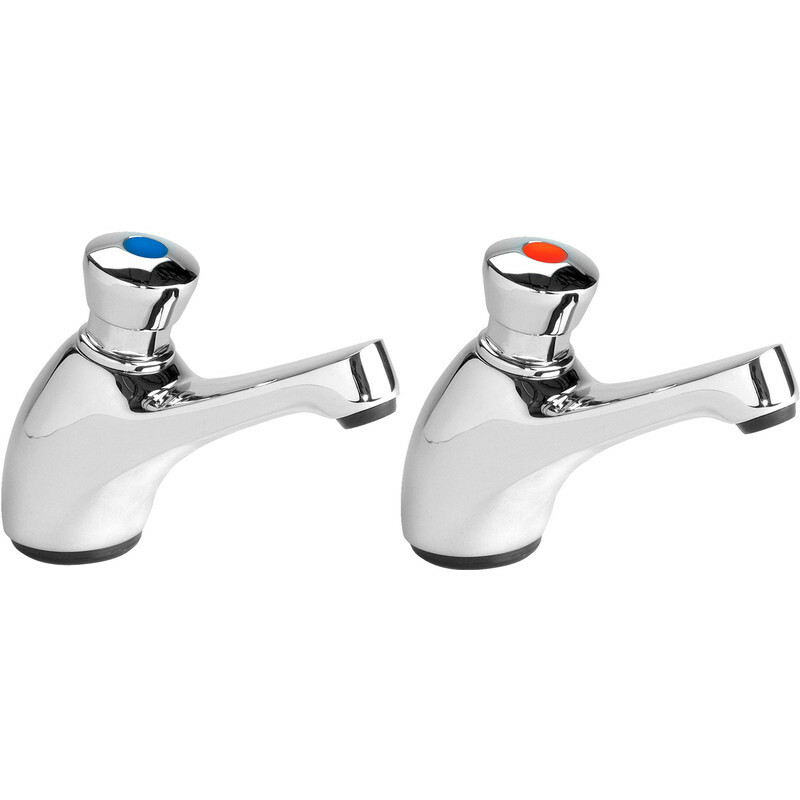 Deva Non Concussive Basin Taps (2 Pack) is rated 5.0 out of 5 by 3.